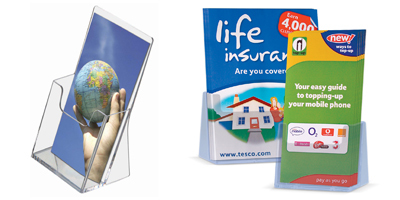 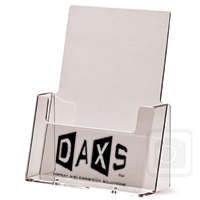 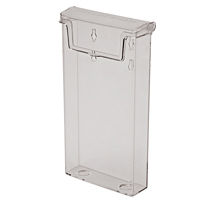 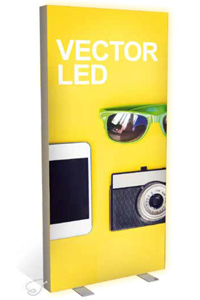 Have your leaflet / brochure holders screen printed in 1 or more colours, with your logo or advertising message from £2 per unit for a minimum quantity 100 units of same size. 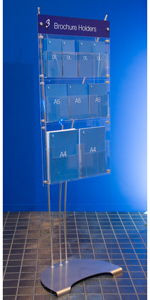 Email us your requirements and artwork for a quotation. 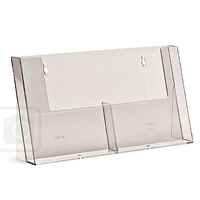 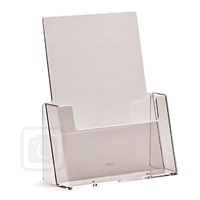 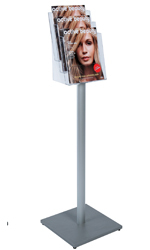 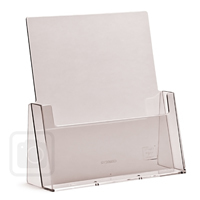 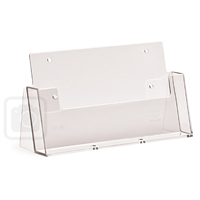 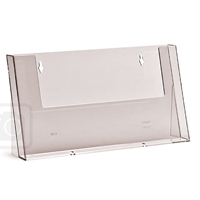 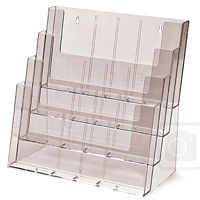 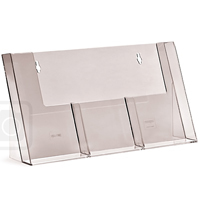 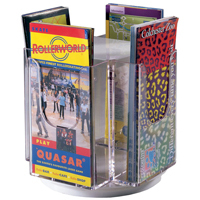 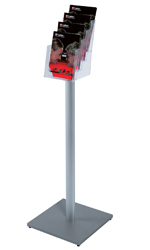 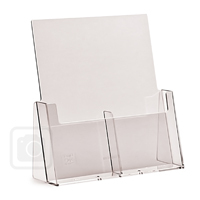 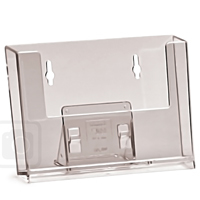 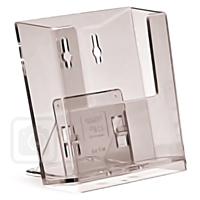 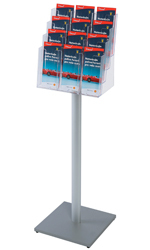 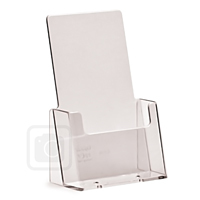 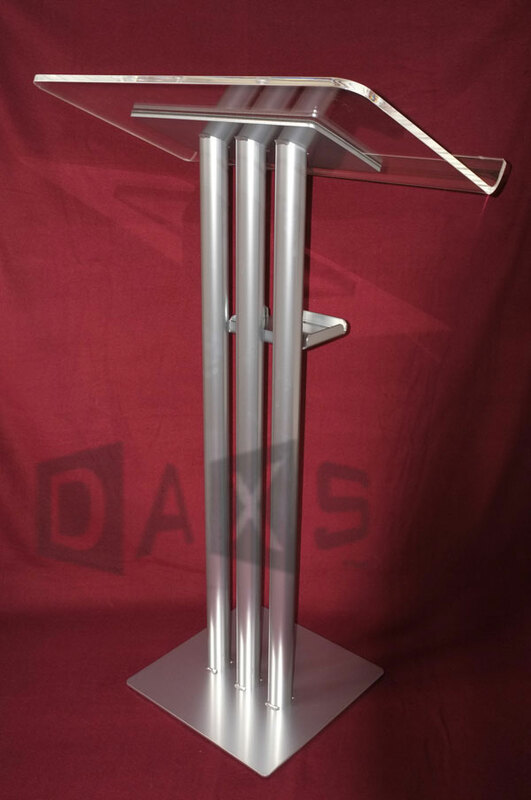 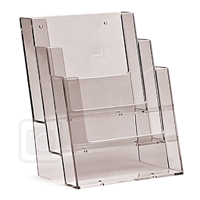 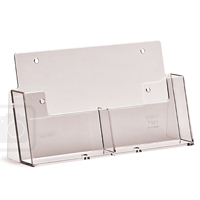 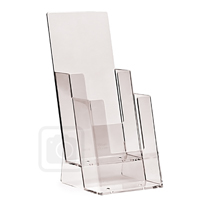 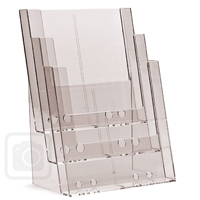 The following brochure stands are now available with wooden laminated bases or as 'Premium' metal base versions. 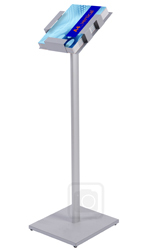 Click to see top detail.